The knowledge of the basic wound healing mechanism is necessary for the correct execution of advanced surgical procedure. In this post, I will describe the steps involved in the healing of a post-extractive alveolar socket. It is well established that the socket undergoes significant remodeling after the tooth is removed. This results in reduced crestal width and height. Sometimes, the resorption is very rapid and severe, and in order to restore the missing tooth with a dental implant or a properly design fixed partial denture (bridge) it is necessary to augment the area with bone or soft tissue graft. The reduction in width of the alveolar ridges was 3.87 mm; the mid-buccal height loss was 1.67 mm; and the crestal height change was 1.53 mm. 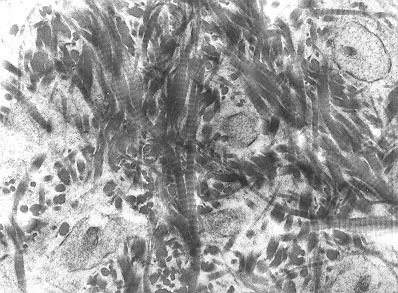 This photomicrograph (an image recorded at the microscope) shows a healing socket after one week. 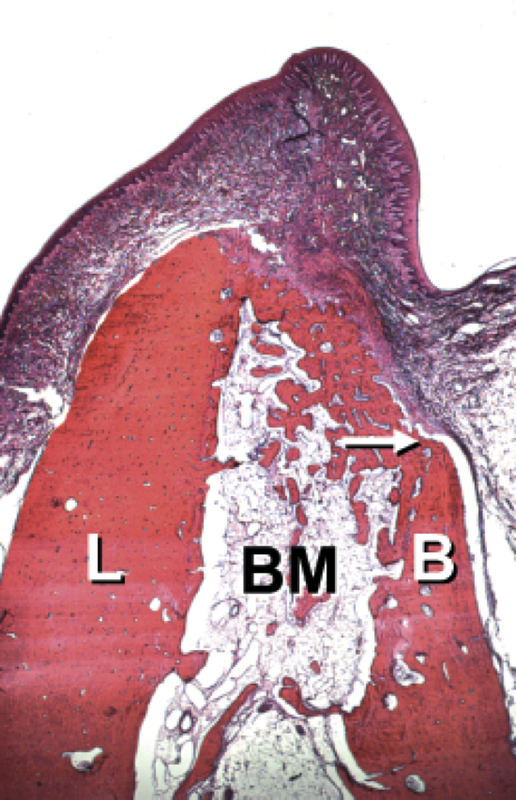 Large amounts of provisional matrix (PM) are present within the buccal (B) and lingual (L) wall of the sockets. And, in the center of the socket, a residual blood clot (C) is still present. At two weeks the provisional matrix (PM) is still present in the most coronal and in the central part of the socket. 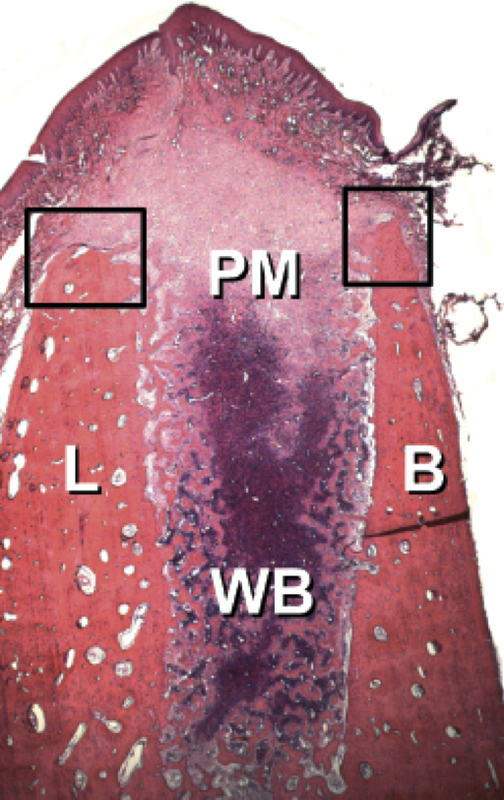 However, woven bone (WB) is rapidly forming and is already filling the apical portion of the socket. A layer of woven bone is also covering the lingual (L) and buccal (B) walls. At four weeks the socket is almost completely filled with woven bone. The white arrow is pointing an the most coronal portion of the buccal plate. 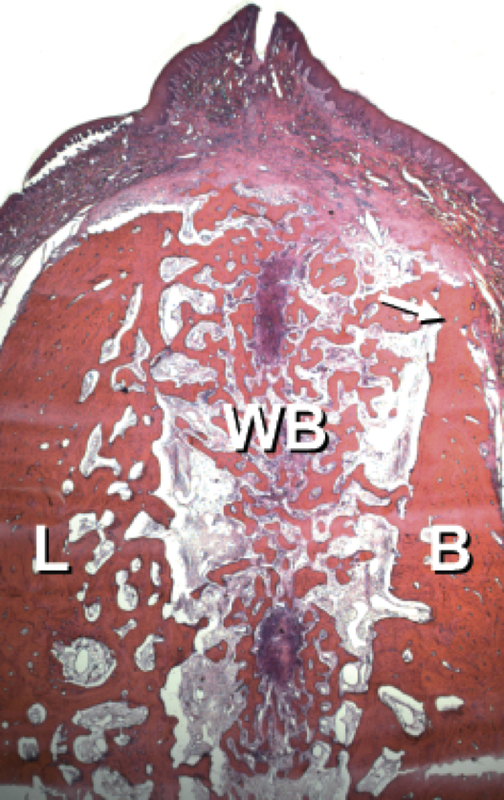 In this area the bundle bone has been resorbed and replaced by woven bone. At eight weeks the entrance of the socket is sealed by a hard tissue that is comprised of woven bone and lamellar bone. 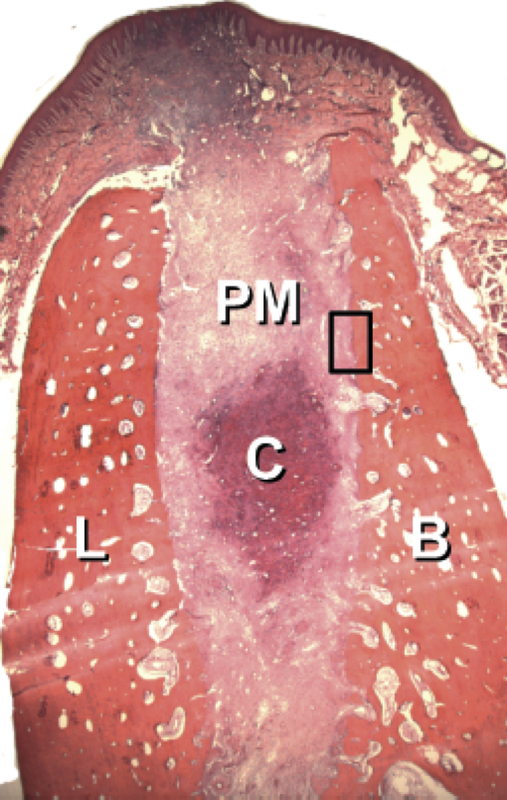 The central portion of the socket is dominated by bone marrow. The white arrow points at the most coronal portion of the buccal plate. If we compare this last image with the one representing the healing at one week, it is easy to see how much had been lost in only few weeks. These photomicrographs clearly show how dramatic the remodeling of bone can be. Twelve months after extraction of a tooth, up to 50% of the original bone volume can be lost. 65% of the bone resorption occurs during the first 3 months.